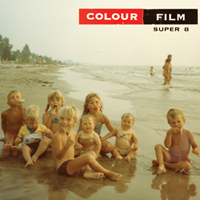 Colour Film's debut delivers six songs that could be home movies in the listener's mind. Produced by Les Cooper (Jill Barber, Good Lovelies), Super 8 features harmonies by Julie Fader, Robbie Grunwald on keys, bassist Mark McIntyre, and drummer Joel Stouffer. Colour Film taps a vein of sincerity to sing about old friends, new families, and waking up on the right side of the wrong bed. The songs come alive on the big screen behind your eyes. Imagine Nick Drake cheering up and meeting Beck. 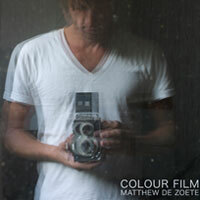 That's the vision conjured on Matthew's third album Colour Film. Produced by Les Cooper (Jill Barber, Good Lovelies) and graced with beautiful harmonies by Julie Fader (Sarah Harmer, Great Lake Swimmers), Colour Film rewards the careful listener with surprising arrangements and atmospheric production. Featuring an inspired rhythm section, lush keyboards, and sparkling pedal steel, Colour Film calls for a dark room, good headphones, and a glass of single malt. 9. Who Do You Think You Are? Matthew's second album Bottom of the World explores the universal foundations of one person's life: love, family, the past, the future, and the inevitable truth of human mortality. Recorded mostly live off the floor in a hundred year-old barn, this collection of songs captures the feeling of Matthew performing with his touring band; it is the sound of intuitive musicians playing in a room, working together to deliver a cohesive body of music. These songs keep melody to the fore and favour beauty over bravado, honesty over obscurity. 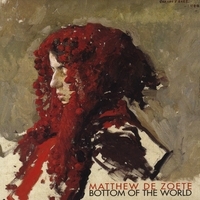 Produced by Dave King and featuring a duet with Jenn Grant, Bottom of the World displays Matthew's continuing growth as a writer and vocalist. Plus, the packaging is cleverly designed to provide a portrait for your bedside table. Matthew's debut Across the Sea reveals a natural sense of melody and a 'less is more' approach to recording. Ranging from simple ballads to joyful pop revelries, the songs are united by de Zoete's engaging voice and startlingly honest lyrics. 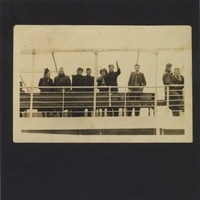 The album's themes of distance and separation, be it physical, temporal, or emotional, underpin reflections on family history, dying relationships, and farewell lullabies. Produced by Dave King, Across the Sea features performances by Dave Clark (Rheostatics, Woodchoppers), Julie Fader (Sarah Harmer, Great Lake Swimmers), Don Kerr (Ron Sexsmith), and Graham Walsh (Holy F**k). Across the Sea is a fine introduction to Matthew's music, and it makes a nifty coaster, too. 2. Who Am I To Say?